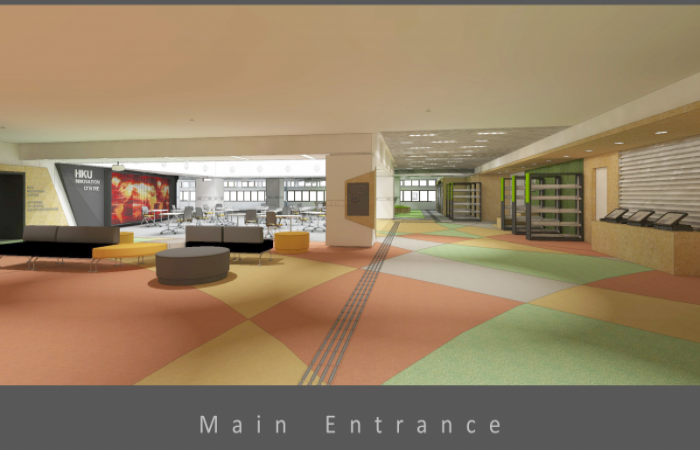 As Library patrons enter the HUB, they will be greeted by a motivating open design, a multi-projector screen wall and an expansive learning commons style setting. 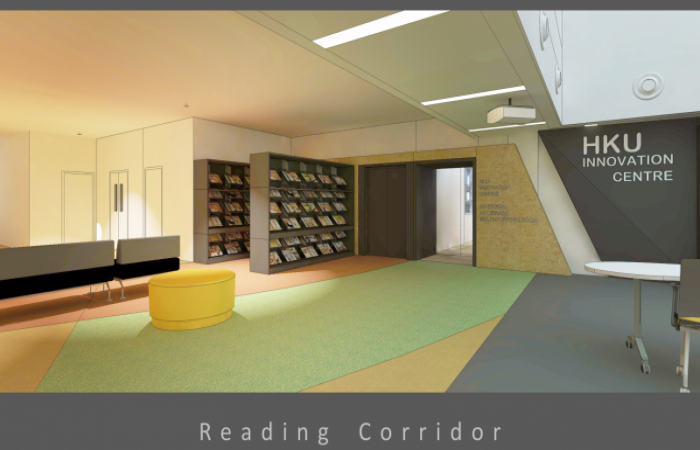 To the right just past the Main Entrance will be the Reading Corridor. 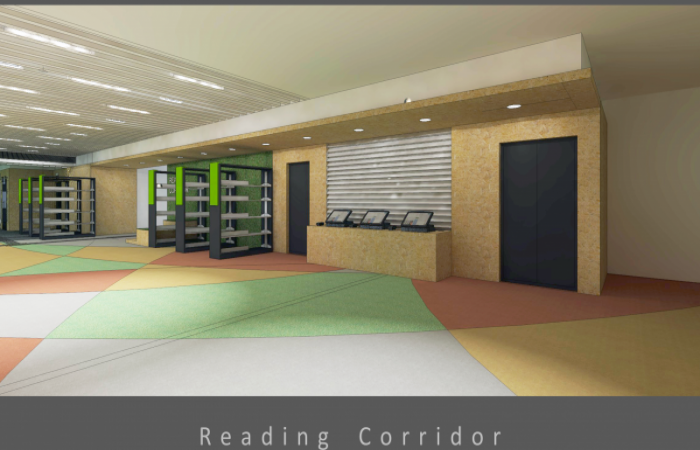 The Corridor will be home to Recent Additions, updated on a weekly basis, and self-check kiosks. 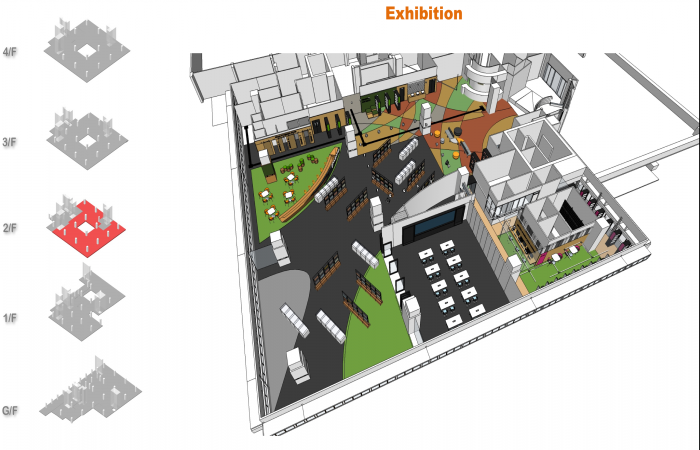 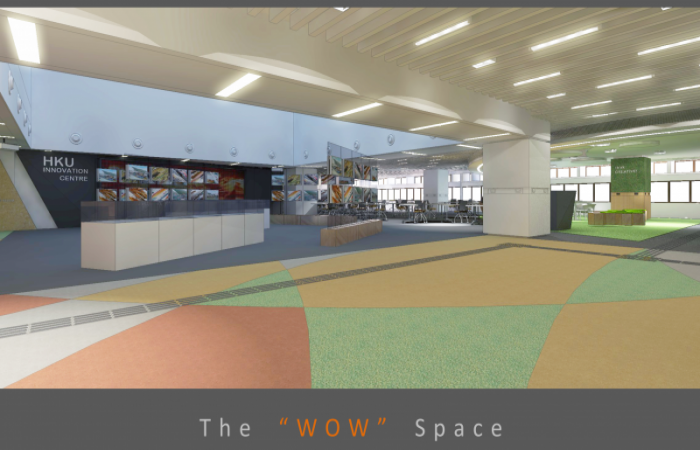 The HUB’s flexible environment will allow the WOW space and its adjacent areas to be configured into four unique venues. The Multi-purpose Area and the WOW Space can be transformed and partitioned into four unique venues. 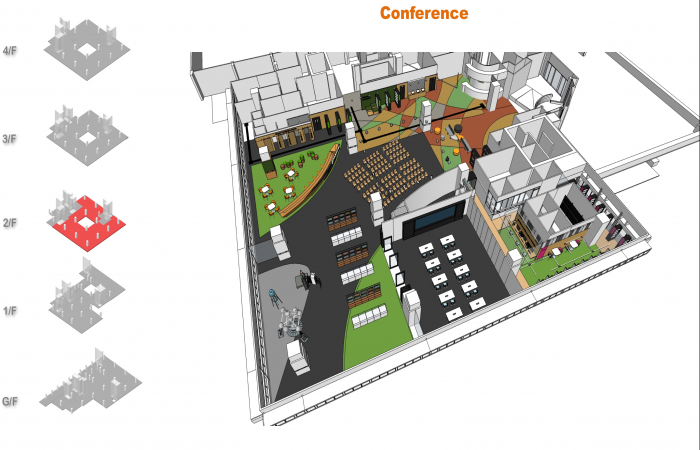 A venue for Study, a Conference venue, an Events venue, and an Exhibition venue.